McEntire is not married and her date to the Grammy Awards was boyfriend Anthony “Skeeter” Lasuzzo. When the couple stopped for red carpet interviews at the music event, they seemed to indicate that the relationship was new. "We've been having fun!" McEntire told Entertainment Tonight on the Grammys red carpet. This new love is even more special, considering the fact that McEntire ended a 26-year marriage in 2015. She and music manager Narvel Blackstock wed in 1989 and split in 2015. They share a son, race-car driver Shelby Blackstock, plus Blackstock’s children from a previous marriage. Interestingly enough, it was her 2015 divorce that led her to her Chrisitan faith, which in turn led the famous country music star to create the gospel album Sing It Now: Songs of Faith & Hope, which went on to win a Grammy this year for Best Roots Gospel Album. Before marrying Blackstock, McEntire was married to a rancher named Charlie Battles from 1976 to 1987, but they split so that McEntire could embrace her burgeoning music career. 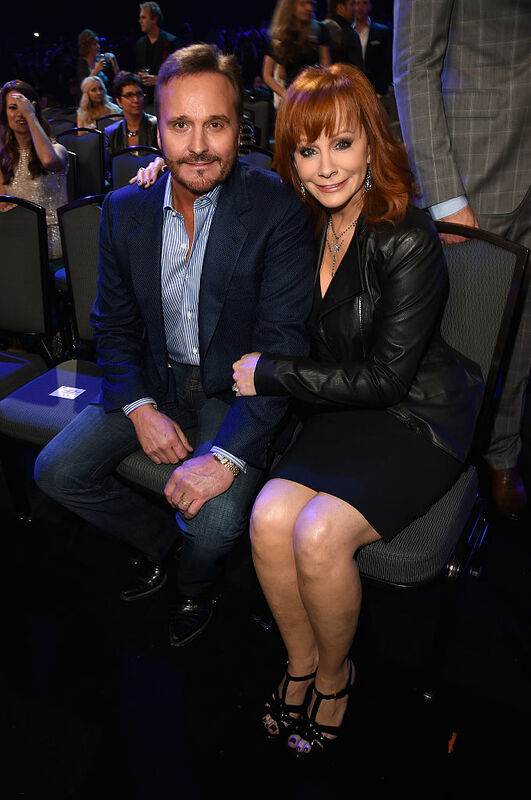 “He asked me to slow down off the road after I won Entertainer of the Year in ’86. I guess I kind of chose my career over my marriage,” she explained to CNN in 2002.